Have you ever really seen a sad person out on a jet ski? It’s almost impossible to find! People who ride jet skis have a permanent grin on their face from the time they lower that baby down into the water, until they pack her up on the trailer for the night. Unfortunately, we have seen a sad rider a time or two, when they have wrecked their jet ski. You see, jet skis are meant to run fast out on the water. A poor, little broken down jet ski makes for a very sad owner. At Anchor Marine Repair, we understand that you live a fast paced life and we want to get you back on the water as quickly as possible with that infamous grin on your face. 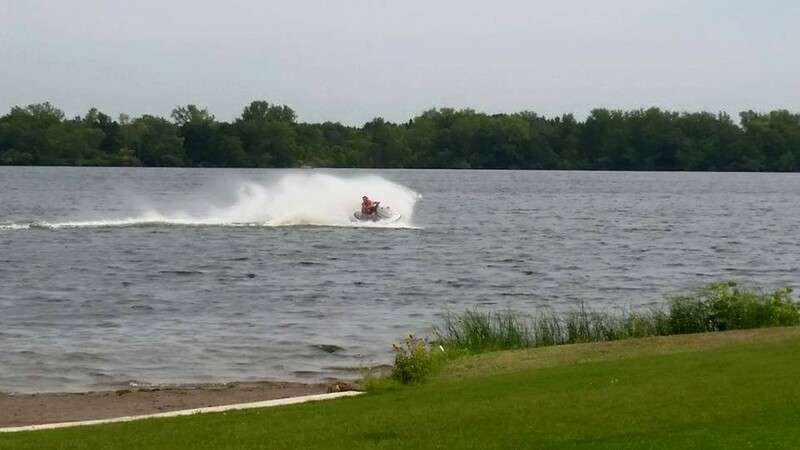 For this reason, if you live in Minnetonka and you are in need of a jet ski repair, we are the only place you should trust to take care of your watercraft! Yes, it’s frustrating. Although jet skis are built for safety, accidents can happen. Once you know everyone is safe and the authorities have been called, your next step is finding a quality repair shop that is insurance approved for jet ski accident repairs. At Anchor Marine Repair, we have a team of certified technicians with years of experience in restoring jet skis, making it look even better than it did before the accident! We are an insurance approved jet ski and boat repair company that insurance companies trust and respect. This is a win-win for all of us! We are happy to provide a free estimate for you and can also work directly with your insurance company, so you don’t have to! Each and every technician at Anchor Marine Repair has been in the boat fixing business for at least 10 years. With over 45 years of combined experience and constant education on the latest and most innovative repair techniques, we are more than qualified to skillfully repair and restore all types of jet skis and personal watercrafts. We can repair anything from a tiny scratch to major structural damage, so no job is too big or small. If you are out on Lake Minnetonka, or any other part of Minnesota for that matter, and your jet ski falls victim to an accident, call Anchor Marine Repair today! We offer free pick up and delivery for anyone within a 250 miles radius of the Minneapolis/St. Paul area. Get that permanent grin slapped back on your face! Call us today at 763-972-3540 to learn more.